Manchester based Force 8 is the leading manufacturer of bespoke doors and windows. We have a wide range of stable doors on offer with 4 different designs and different glass sizes. You are even able to add Georgian bars in the glass designs as seen in the image to add an even further traditional feel to your home. Our Georgian bars are supplied by The Georgian Bar Company, so you can be sure that your Stable door design is of the even highest standard. Locking system: AV2 Winkhaus lock with a thumb turn on the inside of the door. Yale thumbturn that allows for easy usage and is secure. Colours: available in 210 RAL colours. 5-year guarantee on Golden Oak/Irish Oak doors. Others available with 10-year guarantee. 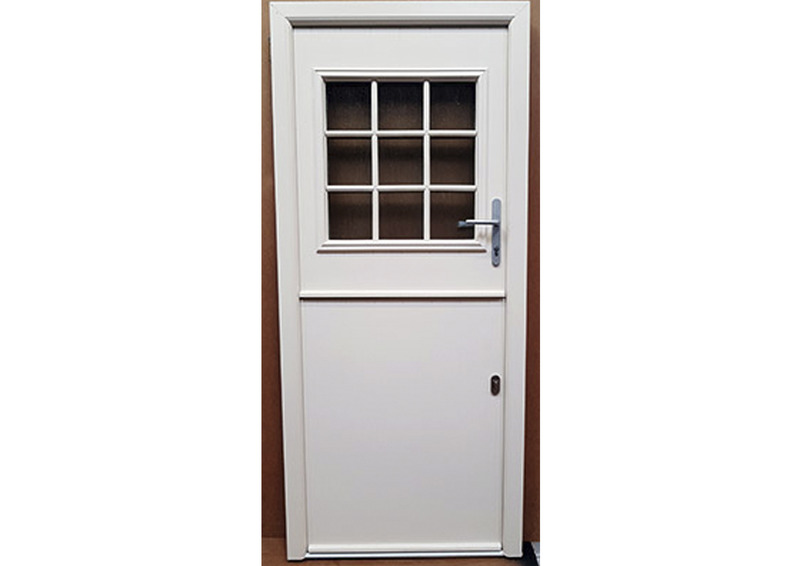 Don’t hesitate to contact Force 8 to discuss our different stable door options.